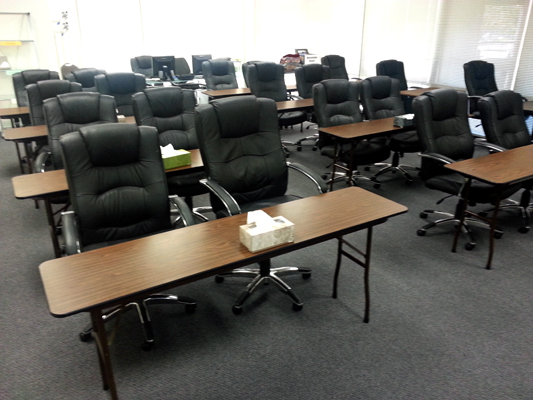 Take a Look at Our NEW Center in Dallas, Texas! 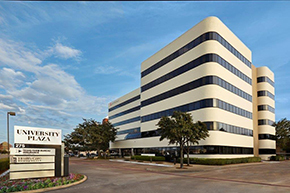 Our new location is at University Plaza, 275 West Campbell Road, Suite 245, North Dallas, TX 75080. 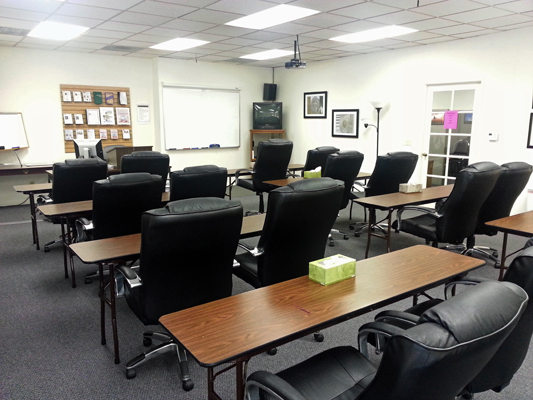 There will be a new virtual tour coming soon, but until then, here are some photos of the new hypnosis office. Our goal is to continue to be a model hypnosis center where hypnotists from around the world can continue to come and receive our elite training in hypnosis and hypnosis, and use our center as a model for setting up their own. 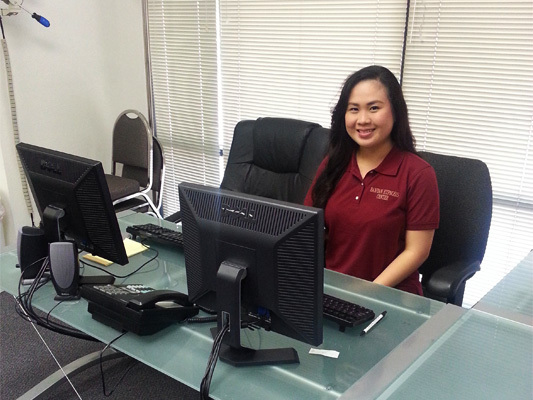 When you call us or visit our office, you will be greeted by Maureen. In the picture on the left you will see Melissa. She is really great at answering your questions and making you feel comfortable when you arrive.Click here to learn about our staff. 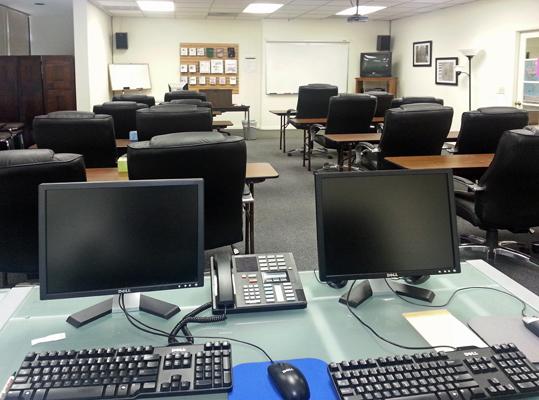 Once you are ready, one of our certified hypnotists will come greet you and take you back to their office. He or she will answer your questions about hypnosis. The therapist will also talk with you about what kind of things you would like to accomplish using hypnosis. Then you get to sit back and enjoy a relaxing hypnosis session.